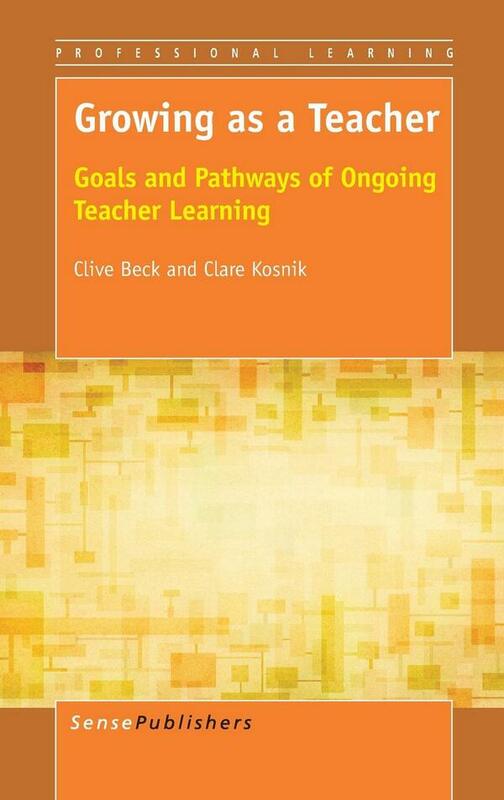 of ongoing teacher learning we reported on their first 8 years of teaching. We are VERY happy to report that we have received funding from the Social Sciences and Humanities Research Council of Canada (SSHRC) to continue our research for another five years. 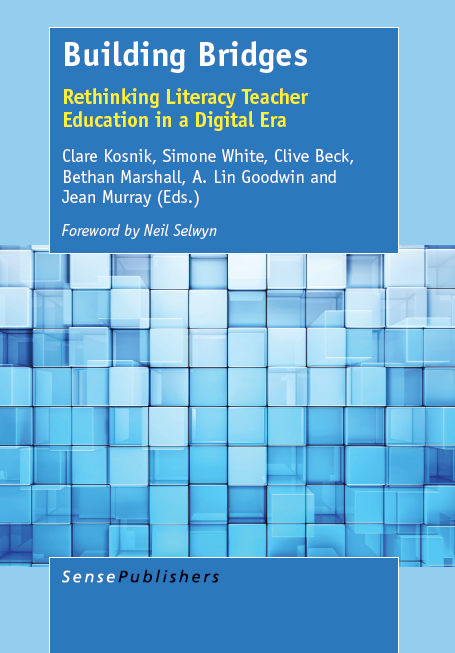 The title of our proposal was: Multiliteracies Teaching in a Digital Age: Balancing the Old and the New. Click here to see the Description of Research that we submitted to SSHRC. Final Detailed Description 2014We could not have conducted this research without the work of our research team and the cooperation of the teachers. We look forward to seeing how our teachers change and develop as mid-career to later-career teachers. 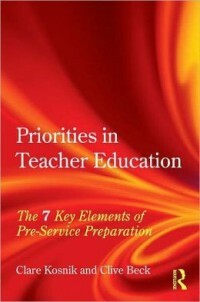 Multifaceted Role of the Professor: Conducting Research Includes …. 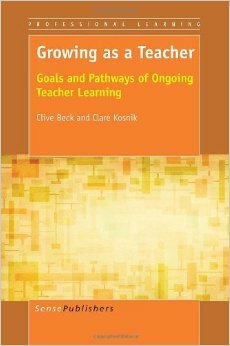 As mentioned in a previous blog post, Clive and I (Clare) are interviewing teachers who are part of our longitudinal study of teachers. Many of our teachers have had life-changing events – including becoming a parent. The teacher we were interviewing in northeast US this past week is a new Mom and is home on maternity leave. We did a division of labour: while I was interviewing the teacher, Clive babysat the new baby who is four months old. The question is: who had more fun? Me doing the interview with an amazing teacher or Clive babysitting an adorable youngster? It was a toss up because we both had a great time. So for budding researchers …. Do not be surprised that your role includes some unexpected duties (which no one told you about in grad school) – such as babysitting. Juggling being a new parent and a teacher has led to changes in practices and views. All have found the dual role draining. New parents definitely have to shorten their work days! 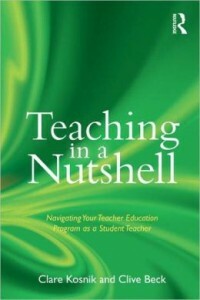 Working morning, noon, and night and all weekend which many had done as new teachers was no longer feasible. They developed a number of strategies to streamline planning and marking. When we asked how their views and/or values changed now that they are a parent many have commented they have become more compassionate. They appreciate how much parents have to trust teachers to care for their child (as they would) and how vulnerable children are. Their views towards parents in many cases have becoming more understanding while with the students they say are more flexible. Interestingly, a number have commented that now as a parent, they are not as focused on covering the curriculum (standards or expectations); rather, they have become more focused on the individual child to ensure he/she is happy and thriving. Some have said they have become less critical of themselves. They can only do so much and do not feel so guilty putting boundaries around their personal life. There is so much more to being a teacher than covering the curriculum. There is so much more to being a researcher than just working with the data. You have to be flexible and be willing to assume some untraditional duties – just ask Clive. 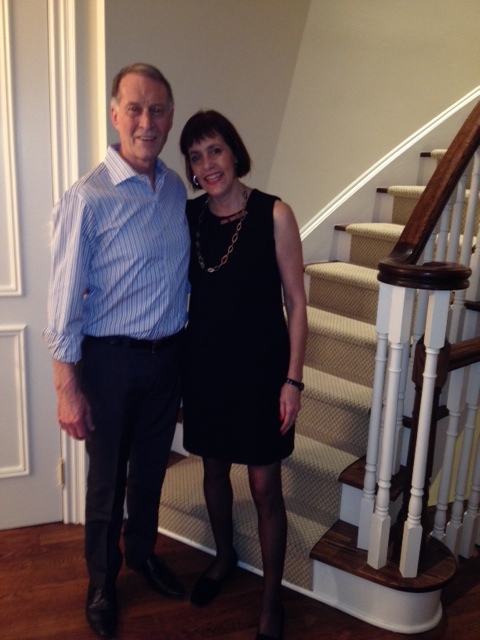 Clive and I (Clare) are in NYC and NJ to interview teachers we have been following for 7 years. Conducting this longitudinal research has been an amazing experience because we have seen how these teachers change over the years. The first year of the study was stressful for both the participants and me. As brand new teachers, they were sharing with a virtual stranger (me, the researcher) their experiences as new teachers which included both highs and lows. As a researcher I was keenly aware of the challenges new teachers face so I did not want them to feel uncomfortable and I was unsure that the interview questions were appropriate for first year teachers. Over the years, I have gotten to know these remarkable women who often are teaching in very difficult settings. Interestingly, I have seen how their lives changed: getting married, having a baby, losing a spouse …. 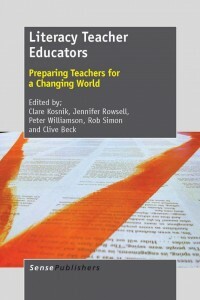 All life-changing experiences which have impacted their teaching. I am truly grateful that many years ago these young teachers opened their doors to me and have continued to be part of this study. Our interview questions for this year of the study are available. Click on the Link About Our Research then click on the drop down menu tab Instruments. I (Clive) have been working with Clare and Elizabeth on a paper on teacher identity, based on our longitudinal study of teachers. One thing we’ve noticed over the years is how broadly our teachers view their role. · What do you think are the most important aspects of your role? · What are your main goals for your students? Having such a broad role may appear burdensome for teachers. However, based on the teachers’ comments and our reading of authors such as Mary Kennedy and Nel Noddings, we argue that approaching teaching broadly is in fact more feasible and satisfying. Students are more engaged, understand more deeply, and develop across many aspects of their lives. And teachers are also enriched and find the daily interaction with students more enjoyable.